This is a fun little accessory that looks like a triangular shawl when worn but it's quick to make and easier to style. 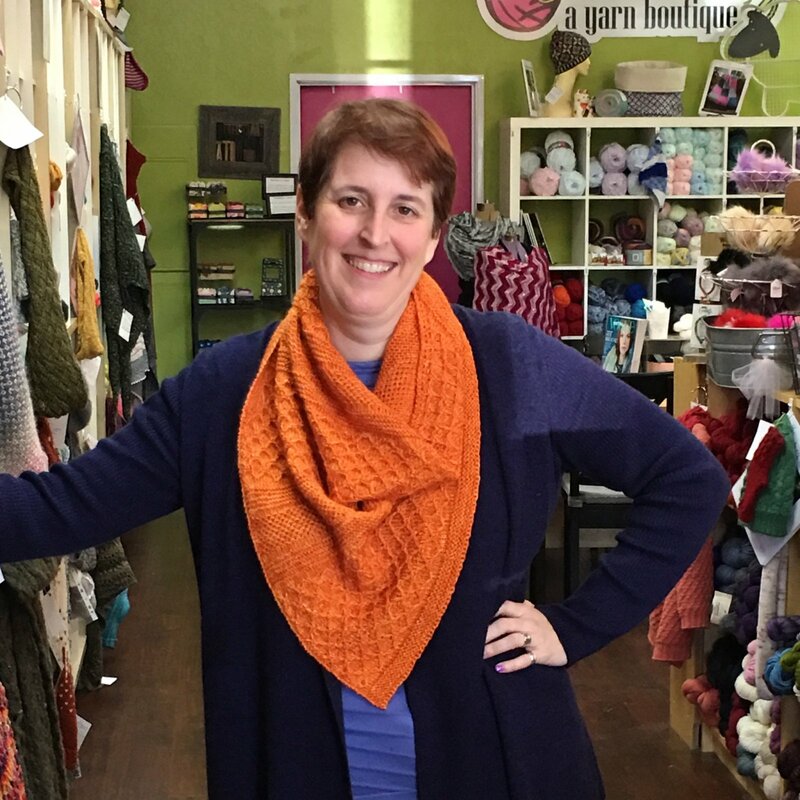 Worked on the bias and seamed, this cowl will teach you a variety of new skills, or refresh a few old ones! Please bring these additional tools: Knitting gauge, scissors, tape measure, paper & pen for note taking if desired, tapestry needle (preferably bent tip).